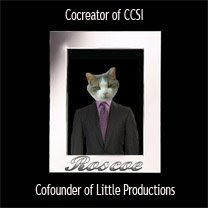 The executives and myself at Little Productions are now putting the call out for new scripts for CCSI shows. Stories may be sent to my e-mail address that is listed on my blog. 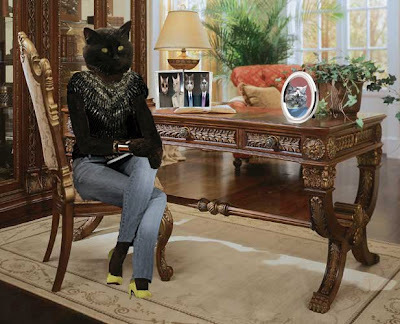 Scripts will be reviewed in the order that they arrive. 1. The title of the story should contain the word caper keeping with the theme of the first two shows. 2. Story should be proof read and as grammatically correct as you can tell. 3. Story should be between 1,000-1,500 words or close to that. 4. Story should be written in story form. 5. Speaking lines for all of the characters in the story. 6. Part of the story should take place in the crime lab. 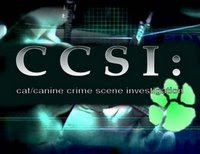 The forensic lab is the backbone so to speak for the CCSI story. 7. The crime scene should have evidence left as clues that can be solved in the crime lab. 9. Accepting scripts at anytime but hurry if you want to be considered for CCSI III. 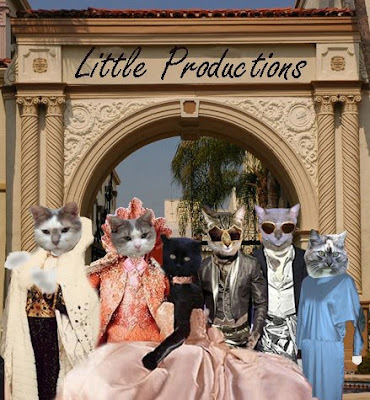 l-r: Opus & Roscoe, Producers & Graphic Design; Sassy, Executive Producer; Karl, Chief Graphic Designer & Writer; Ruis, Director & Graphic Design; & Momo, Advertising & Marketing Director. All of us at Little Productions are looking forward to receiving new scripts for up coming shows.